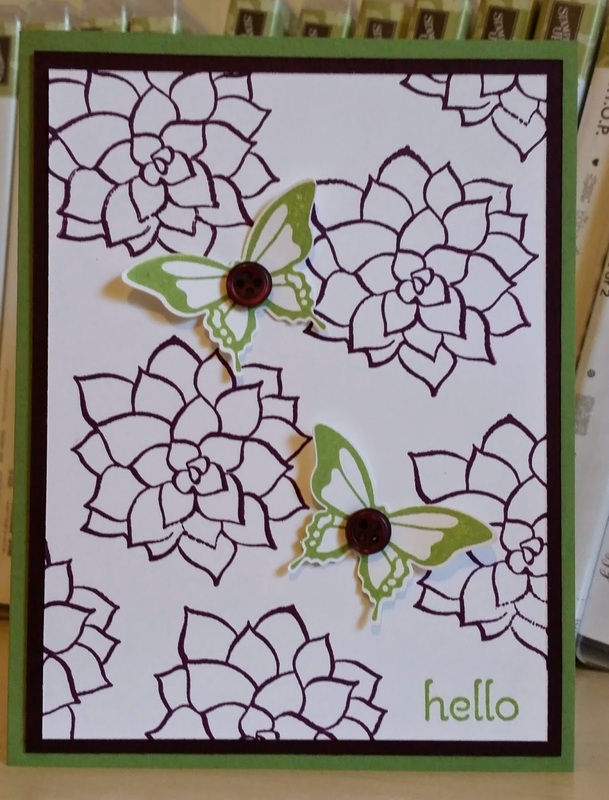 I already had out my Painted Petals suite of stamps and DSP so it made it so easy. I stamped the flowers and sentiment then cut it out with the largest die in the Apothecary framelits set but cutting letting the die hang over and making straight edges. 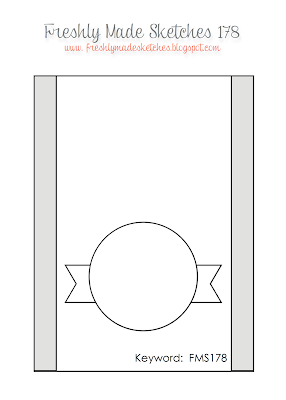 I then used a piece from the Chalk Talk framelits dies to make the two holes on top and bottom to run the ribbon through. I hope you have an awesome Tuesday and thanks for stopping by! 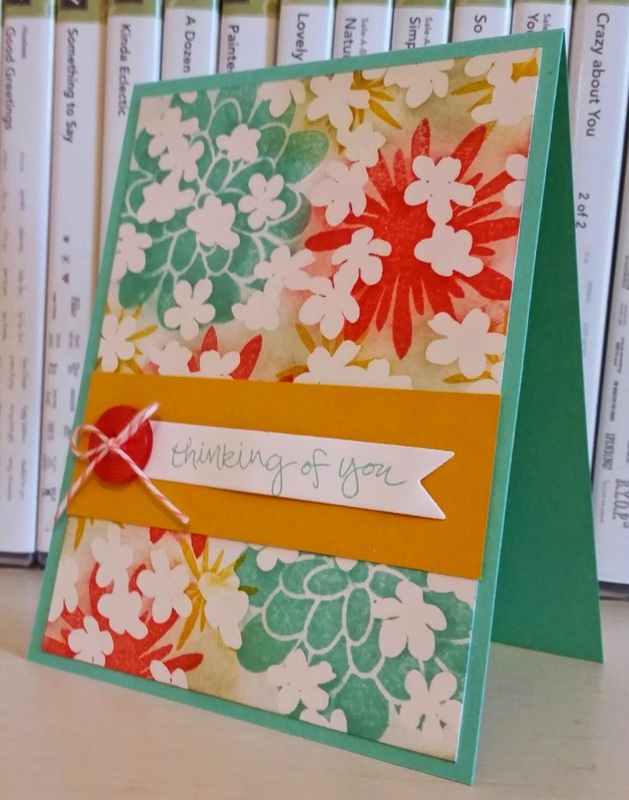 Here is another card I made using the tissue technique. I used Wild Wasabi and Hello Honey on the crystal effects. I forgot the dazzling diamonds which was fine. I love the water look this technique provides. I hope you have a Super Monday and thanks for stopping by! The Pool Party does not show up in true form here but love this background with the ship. Looks like water behind. I took a piece of acetate (window sheet) and stamped the ship from The Open Sea in Stazon Black. I then rubbed a glob of Crystal Effects over it and dropped some Pool Party and Soft Sky ink on. I swirled those colors around with my finger and then sprinkled a little dazzling diamonds glitter on for sparkle. I laid white tissue paper over it and pressed down to get the bubbles out. Left it to dry for about three hours. 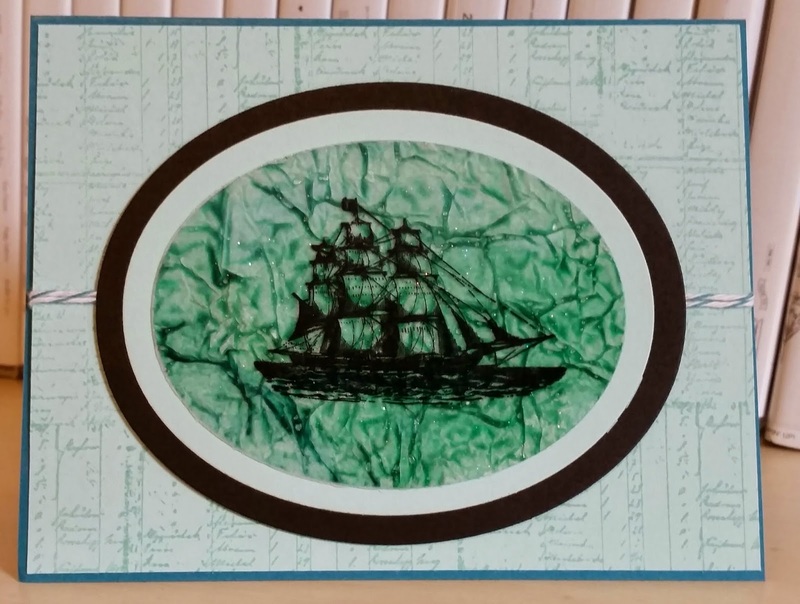 I used the Oval framelits dies to cut the ship and some more card stock for a frame. I stamped the charts stamp from the same stamp set in Pool Party for the background. 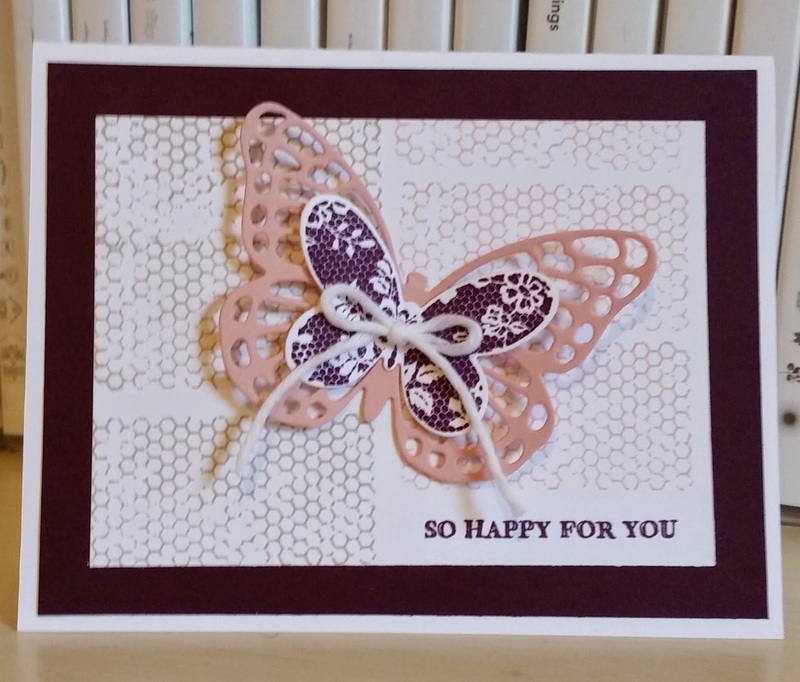 I should have another example for you this weekend I stamped using the Choose Happiness stamp set. 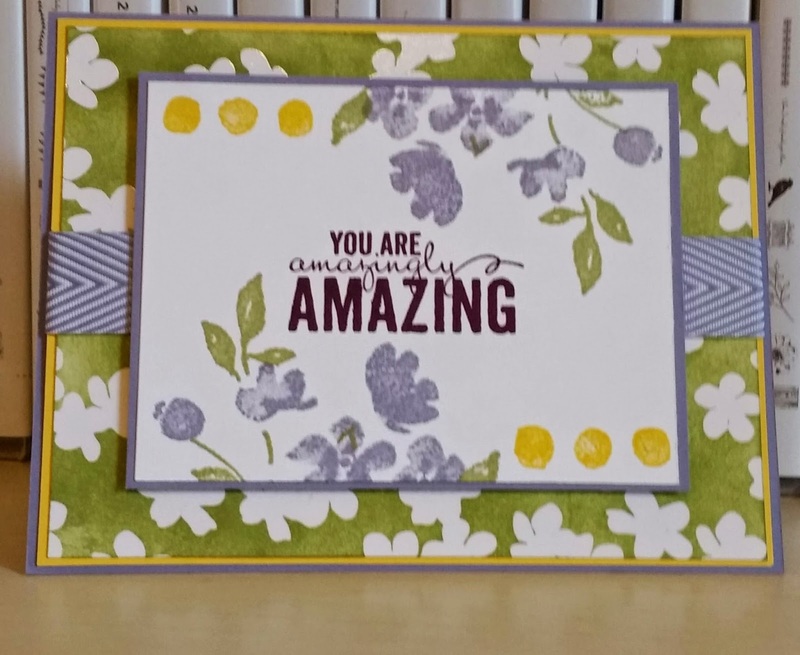 While I had out my three colors for another card I posted earlier this week out, I made this card with a little splash of color using a fav stamp set called Gorgeous Grunge! 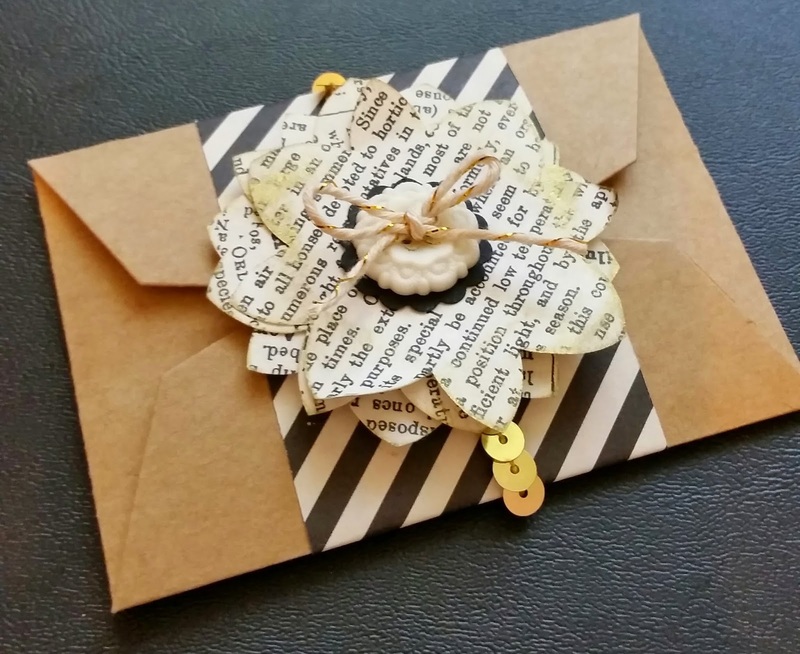 I made this for my college girl and will send it soon. Her favorite color is turquoise and that is why I threw a blue button on...she will love it! I have not used the Adventure Bound DSP stack much so when I saw this sketch, I knew I would use it! 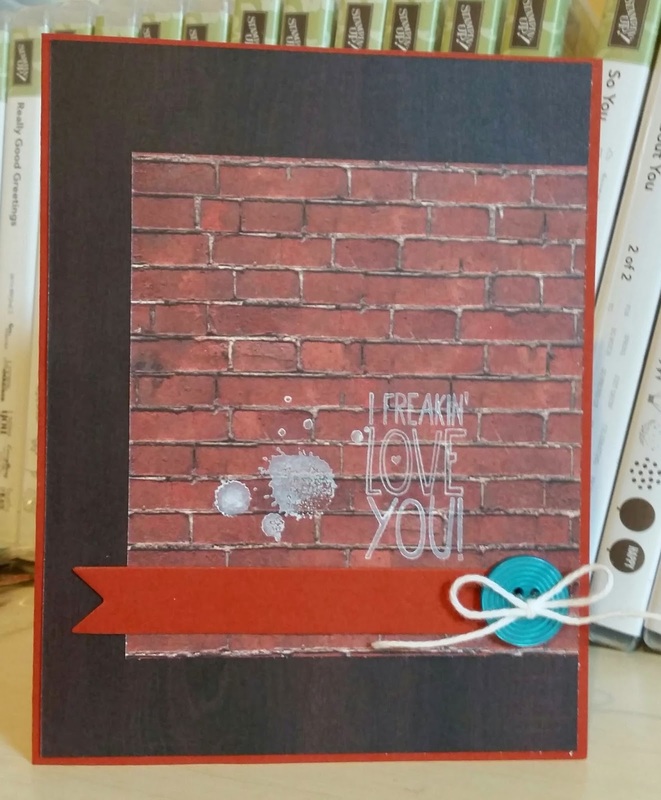 I love the cards I have seen where sentiments are stamped right on the bricks in white ink. I had to try it. Thanks for stopping by! Love the Sheer Perfection vellum..wish I got more! I knew butterflies would play a part in this sketch when I saw it. 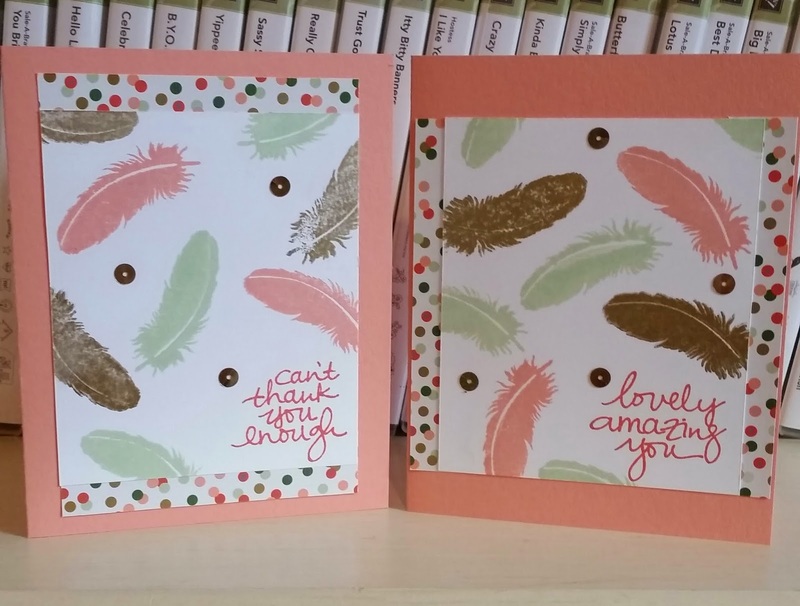 I thought I could use larger ones but they did not fit so went with the bitty one from Kinda Eclectic and the sentiment from Choose Happiness I do not think I have ever used! 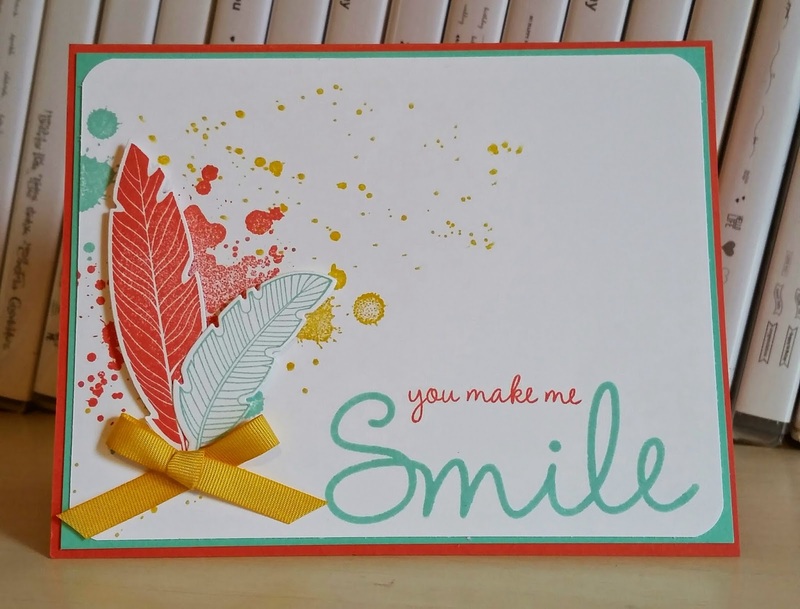 I layered the vellum on Hello Honey and feature our 2014-2016 In colors! I hope you have a beautiful day and come play along with the sketch at palspaperarts.com! I wanted to show the Gift Card Envelope all by itself at club this last night and the best way was to decorate with a belly band! 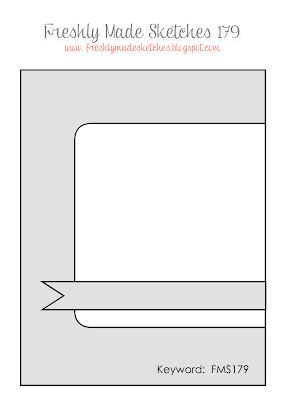 I cut the envelope with our Kraft card stock. SU! sells it in a 12" x 12" with a count of 12 sheets for $5.95 (a great deal). I made the belly band and punch the Flower Medallion out of Newsprint Specialty DSP. I dipped the edges of the flowers in the gold ink pad. I did not use a sentiment as of yet. I will add when I go to use for whatever occasion. 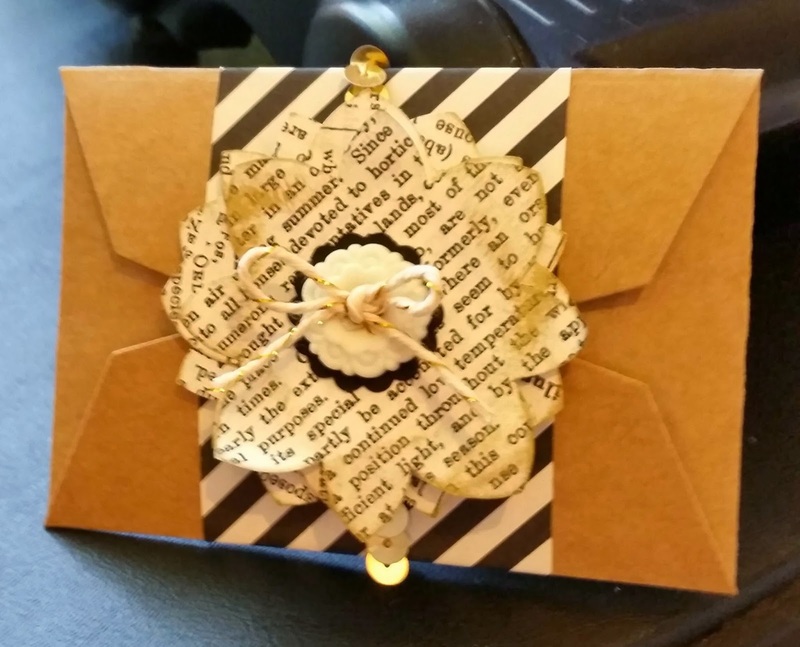 Also used: Gold Sequins, Vintage Vanilla button, Gold twine, 7/8" scallop circle punch in Basic Black. 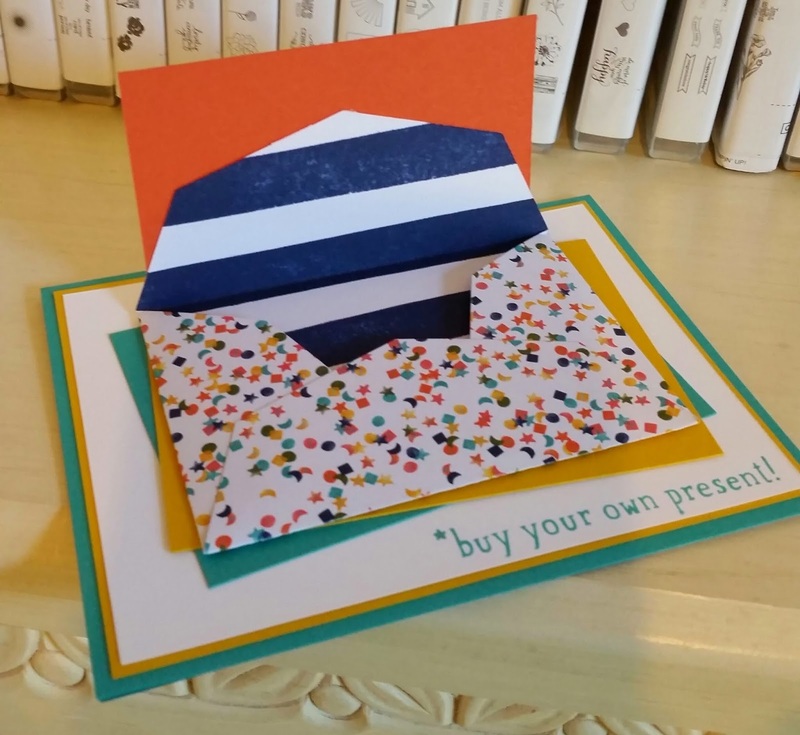 Another card using the Gift card Envelope thinlit die for club tonight! 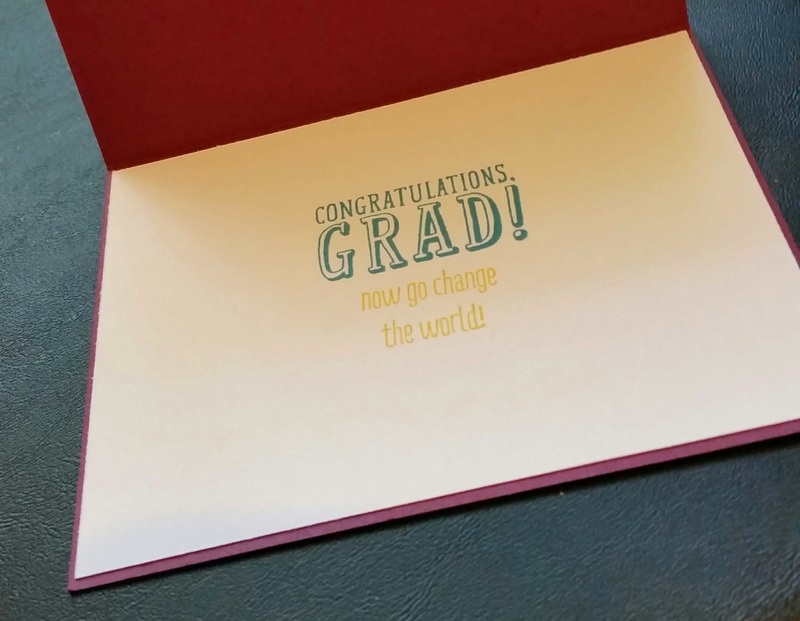 This one is for a special graduate in May, my friend Jessi. I will be tucking cash in the pocket in front. 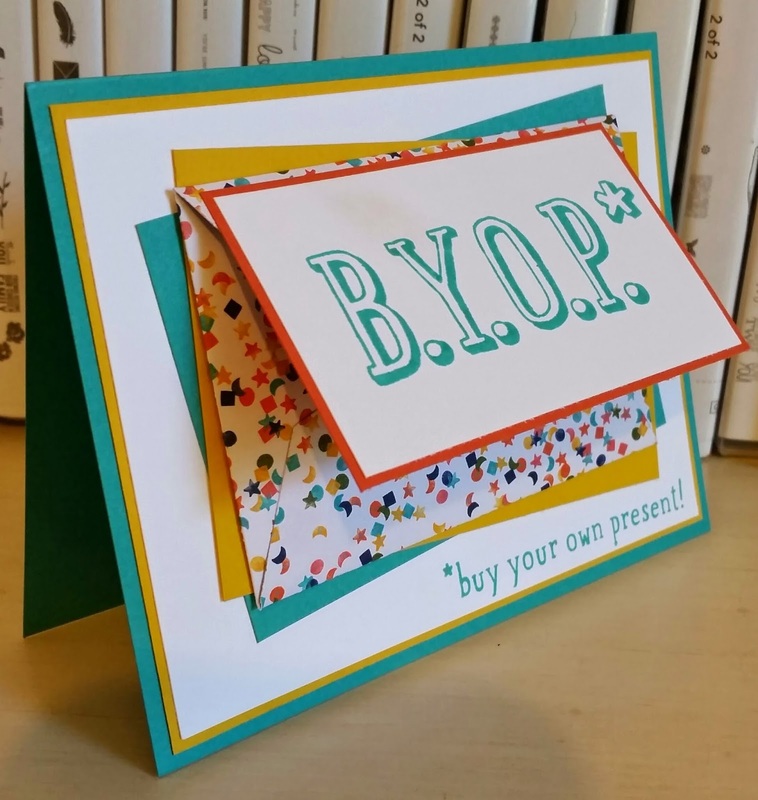 I love how this can be the front of my card or you could attach inside or like my post on Sunday, you can hide under a sentiment! 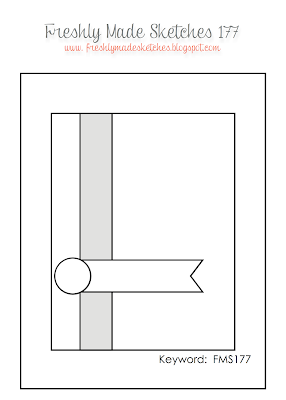 Check back tomorrow for a technique we will also be doing at club tonight. 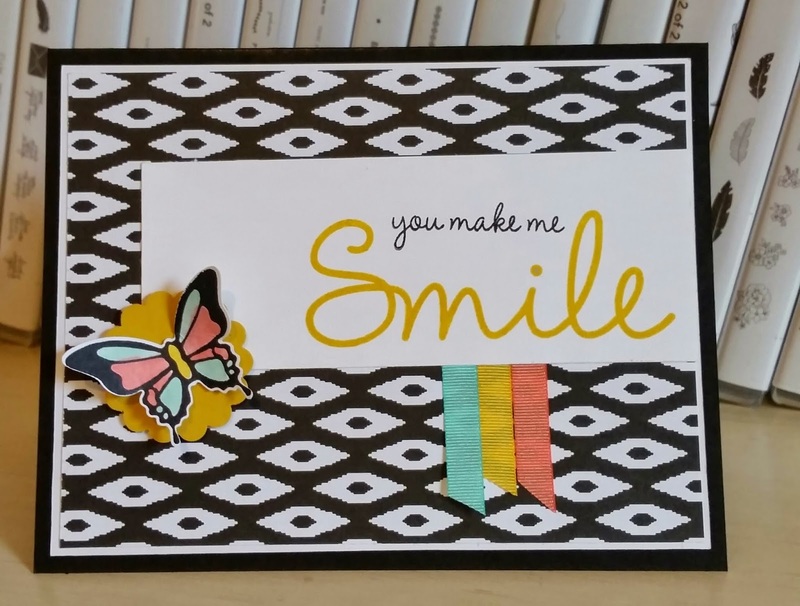 Great sketch...but what is cool is I was about to design a card for my card class in April and wanting to use the big Smile stamp from So You stamp set! This was the perfect sketch and now I have my last card for class done! Some months I struggle to get all five cards designed and other times like yesterday and today, I get all five done with great inspiration! Thanks for stopping by! Have a wonderful Monday! This Tuesday my club is coming over and will we be playing with the gift card envelope thinlit die. 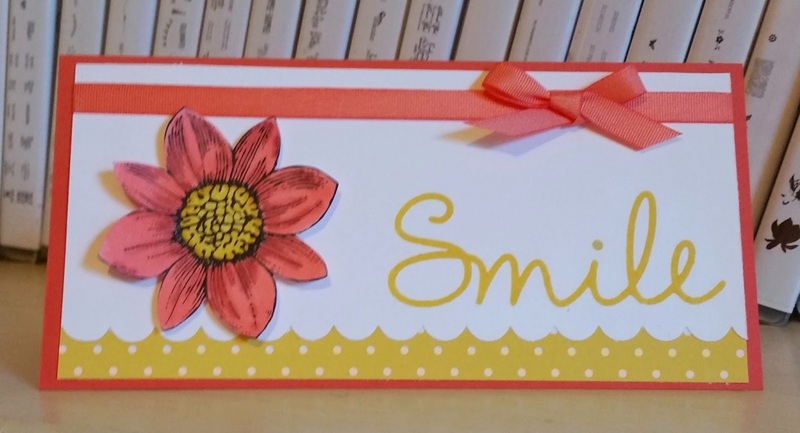 This is a card I saw on my friend Brian King's blog stampwithbrian.com back in January and have been planning to make a gift card holder like this. 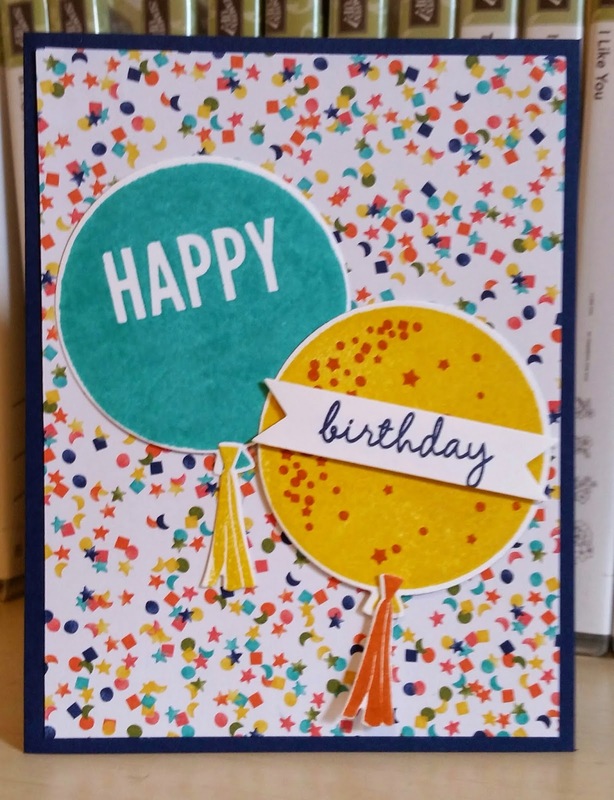 I cut the Birthday Bash DSP out with the die and then placed the sentiment over the flap. I have not played enough with this set yet but will get some use now that Grad season is coming up fast! I will have a grad card to show this week as well! The kit comes with floss in Daffodil Delight and a needle that I could not get threaded but found another one that was larger in my almost never used sewing box! 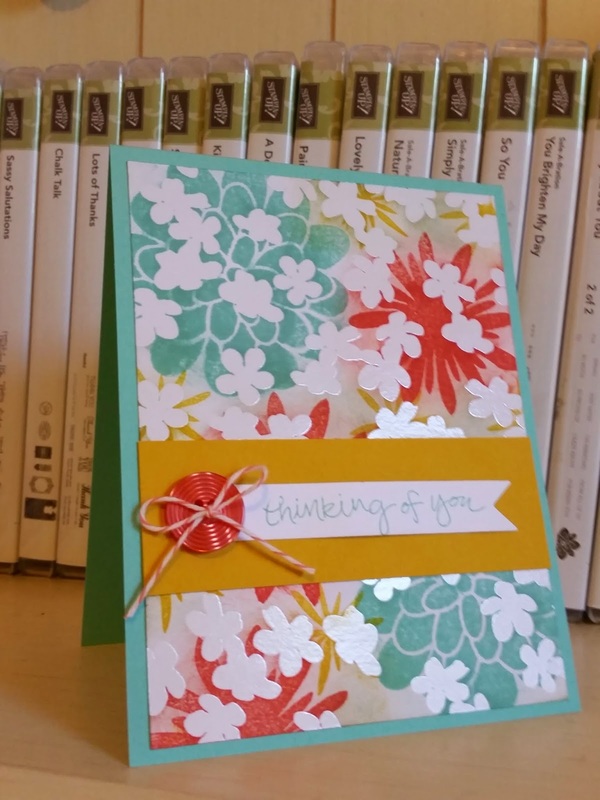 I decided I am not good withe sew thing so the other 8 cards I might do something different with them. I will show that off another day! 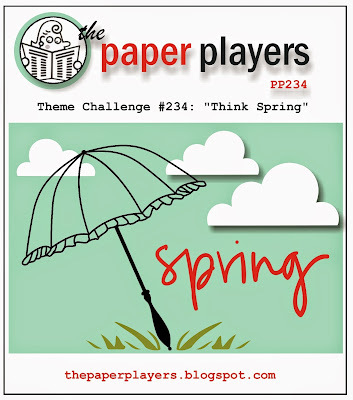 You can subscribe to Paper Pumpkin at paperpumpkin.com and pre-pay for 3 or 6 or 12 month subscriptions and see what it all about! I like this sketch...actually one I use sometimes. 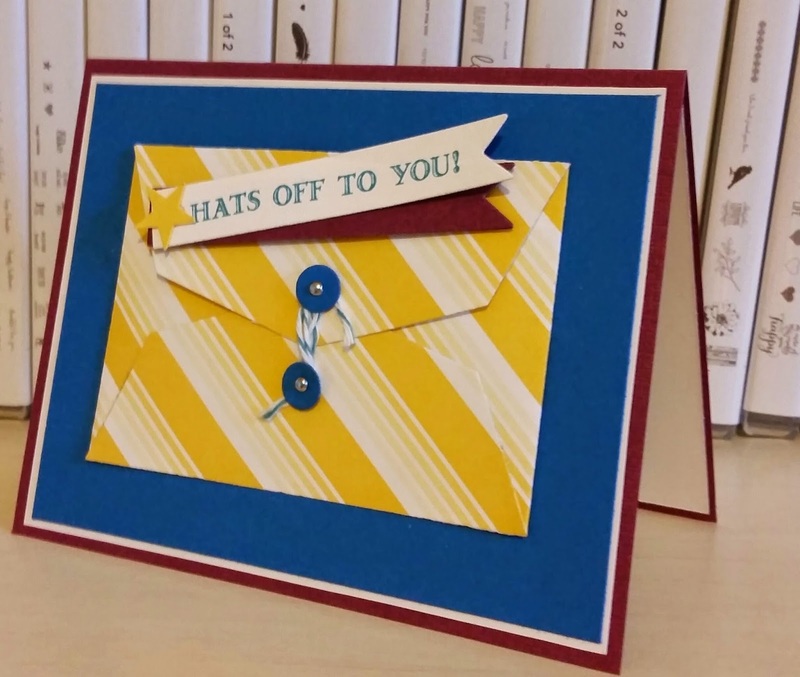 I started by looking through my stamp sets and saw one I received as a gift from one of my up lines, Lisa Pettro. 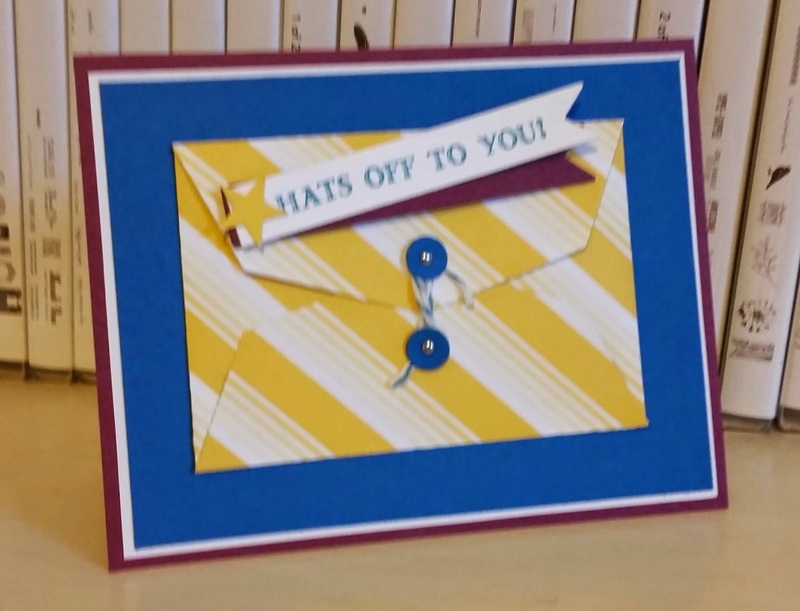 I thought I could put a few of these stamps from Let's Get Away together to make a card. I hope you have a Fabulous Friday and thanks for stopping by! The butterfly was the first shape I thought of for this sketch! So went with it and I really like the colors together! I used the Irresistibly Yours DSP brayered with Pistachio Pudding. Enjoy your Thursday and head over to Palspaperarts.com to play along. 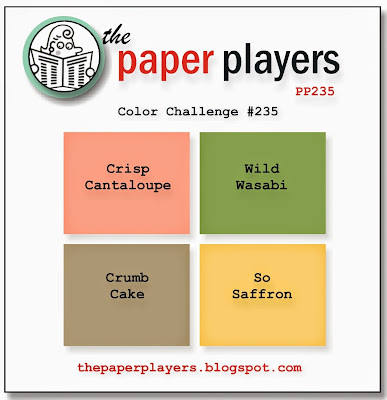 I have been wanting to color the vellum I received free from SAB called Sheer perfection Designer vellum paper stack. I used markers to color on the back side of the vellum. 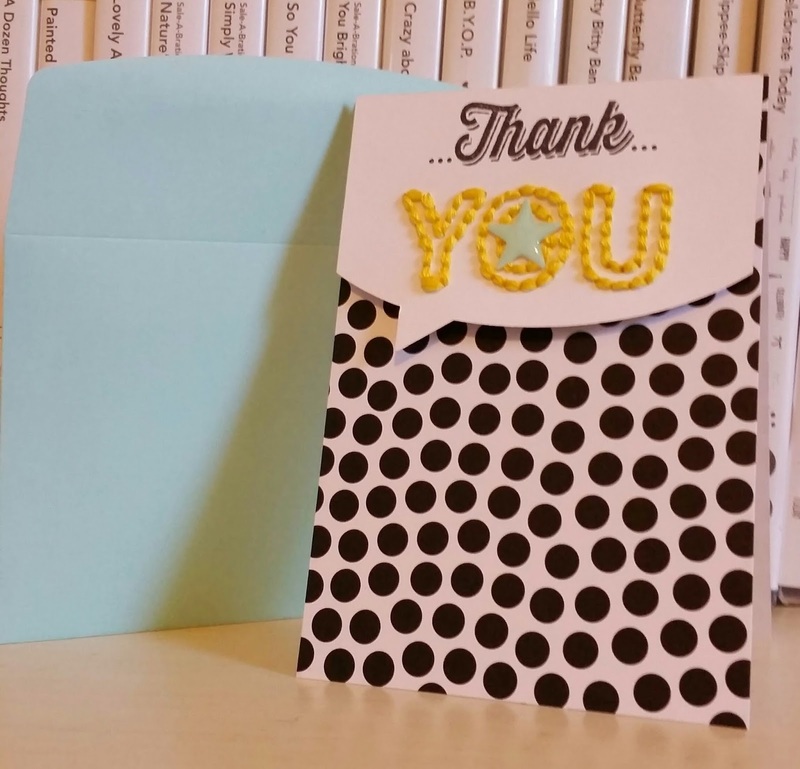 I then attached the vellum onto Whisper White card stock with a glue dot in each corner. I really wanted the colors to pop! 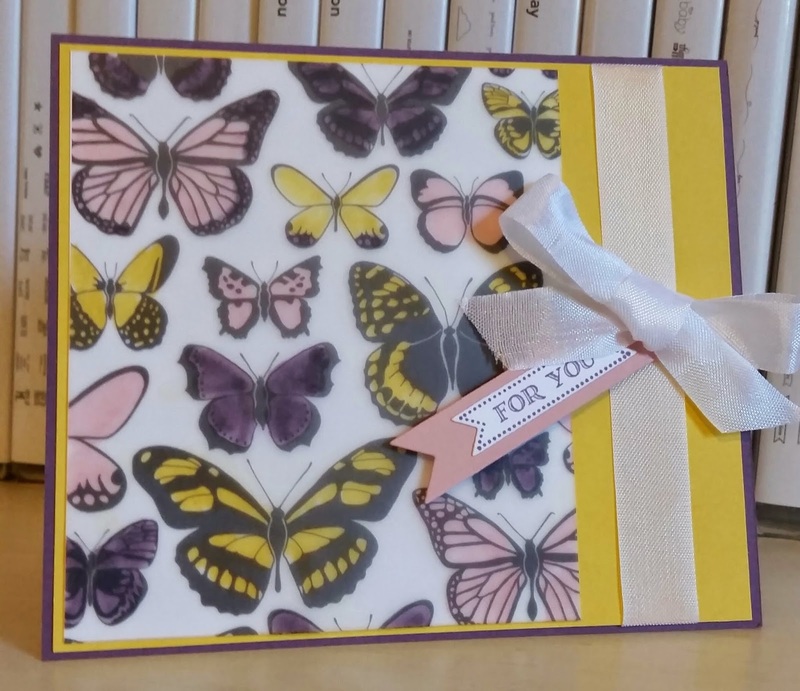 I wish I had got more of the paper...only two 6" x 6" sheets of butterflies! Playing with the Irresistibly Yours DSP again today. This time I stamped on it with the Flower Patch stamp set and rubbed with the sponge a little over to cover the places I did not stamp. Saw the idea on Patty Bennett's blog pattystamps.typepad.com. Very bright and spring like! 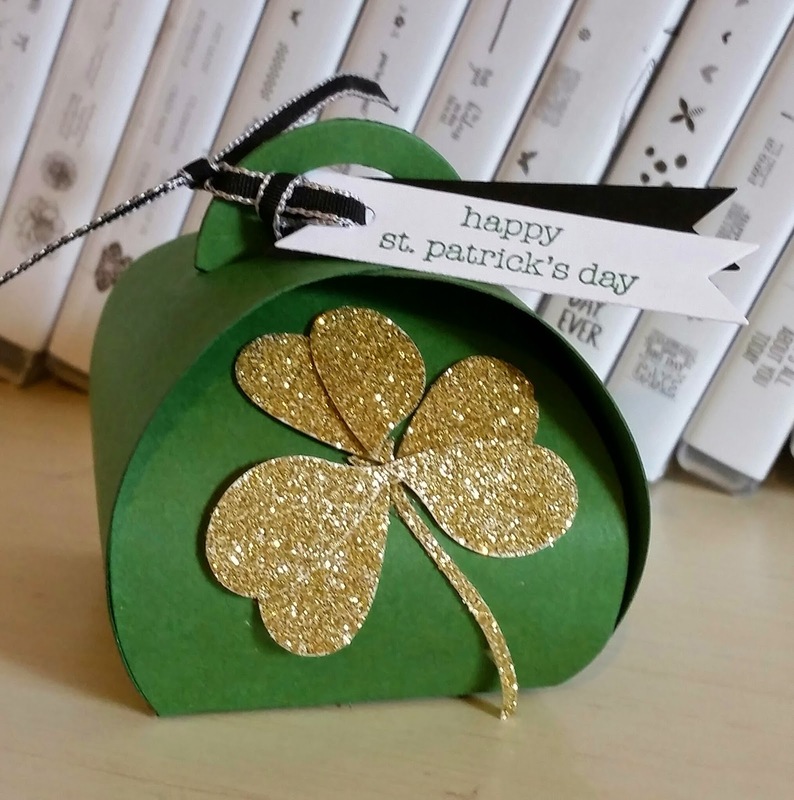 I hope you have a lucky day! 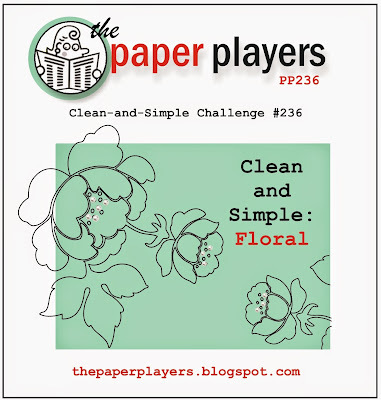 Quick simple floral for the challenge this week. I already had out my new stamp set called Nature's Perfection. Great flower here which I colored in with my Melon Mambo marker. 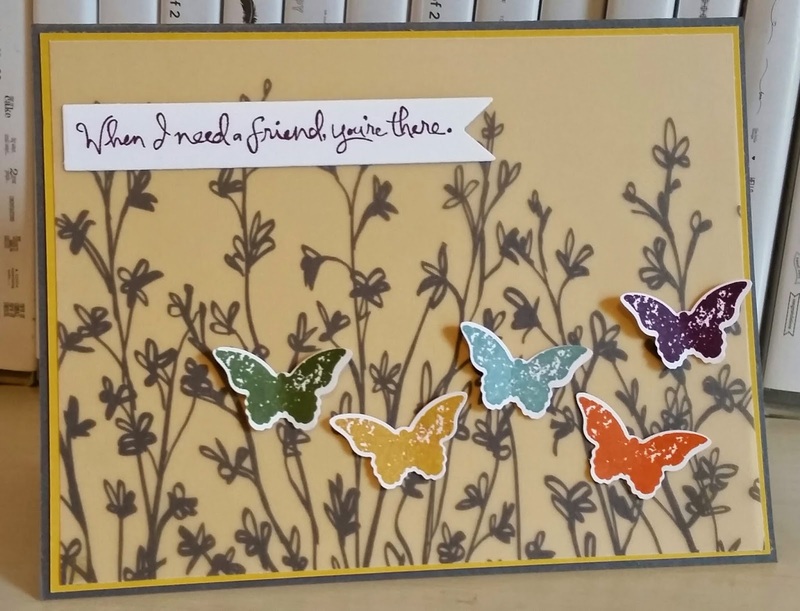 Added a few butterflies in Daffodil Delight. 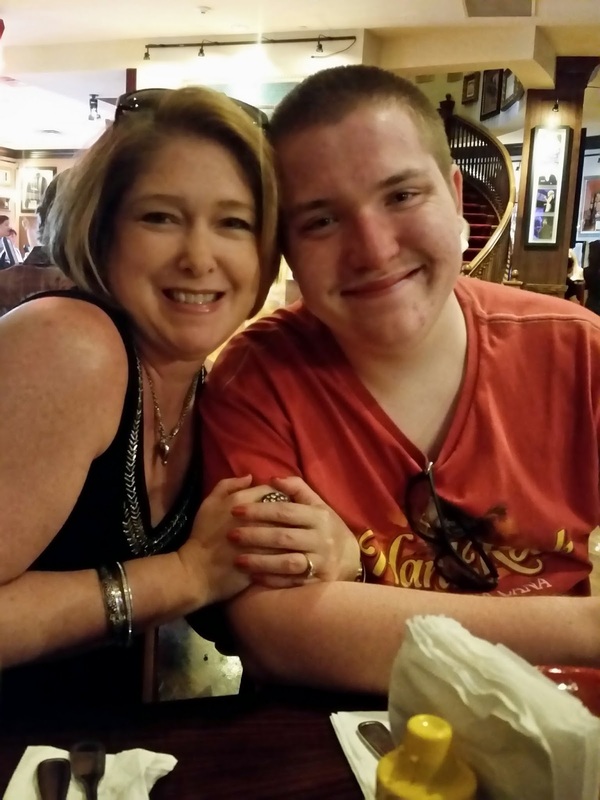 We just spent some time at Universal Resort Orlando for spring break this weekend. But now my college girl is driving back to school and will not see her for another 6 weeks! 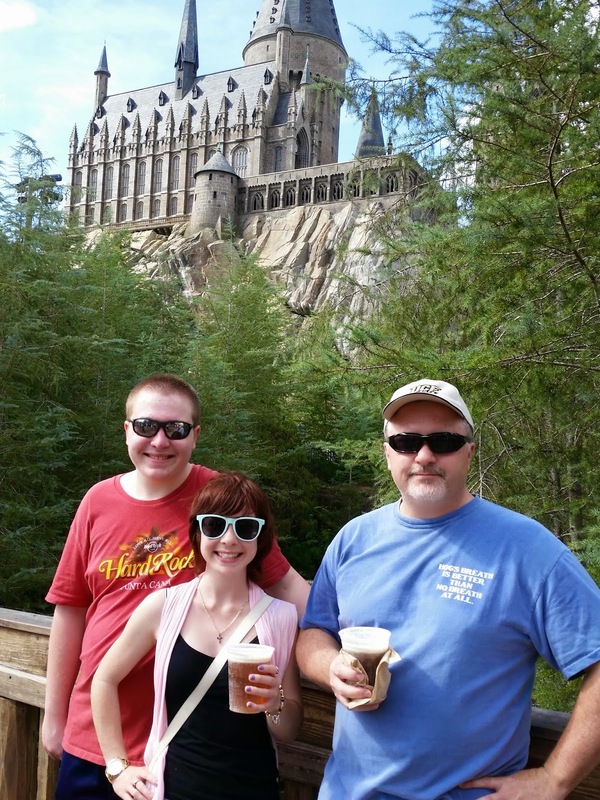 Here is my son, Cole and Amanda, and my husband, Mark at Islands Of Adventure's Harry Potter World with their butter beer! 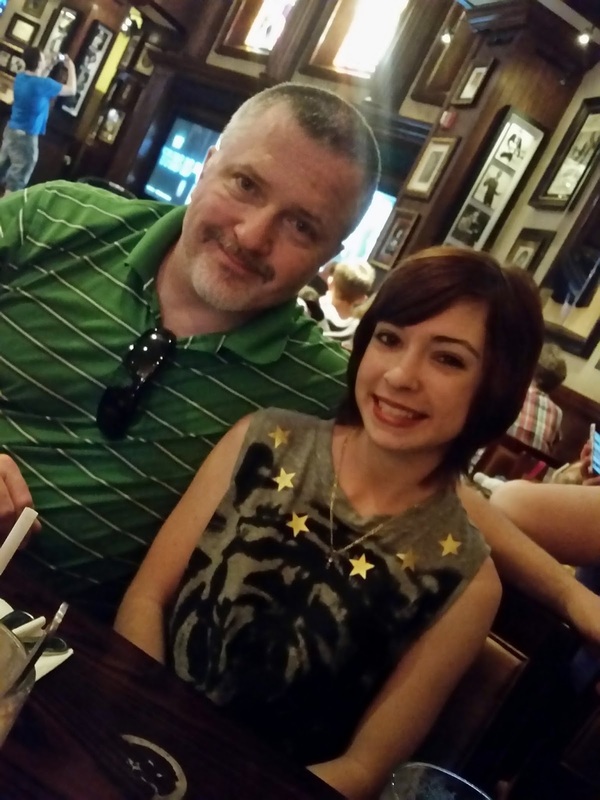 Next two photos are Friday night at Hard Rock Cafe'. New stuff to play with is fun! I did not need another stamp set but when SU! offered the Nature's Perfection and the In Color accessories, well I did not resist! I hope you a blessed Sunday! Love the script in the Lovely Amazing You set! I had the base and card stock cut from a class but decided to make a different card from the original. I also looked at the color coach for ideas with Melon Mambo (which is a color I use rarely). FMS 177 You're The Best! I have been waiting for a chance to use my new Sheer Perfection Designer vellum sheets. This seemed the perfect chance. I grabbed some yellows for background and choose Hello Honey and then used a color combo from there. I really like the fonts in Simply Wonderful stamp set. 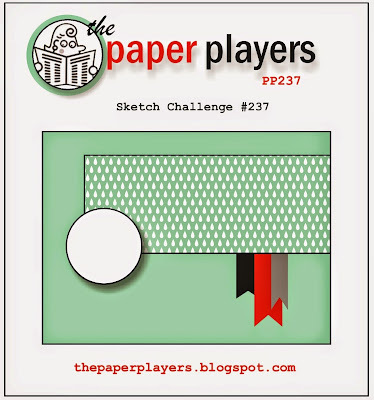 Fun sketch so head over and give it a try! I think I took 20 photos of this card and all turned out so light. Must be the colors I used and lots of white here! 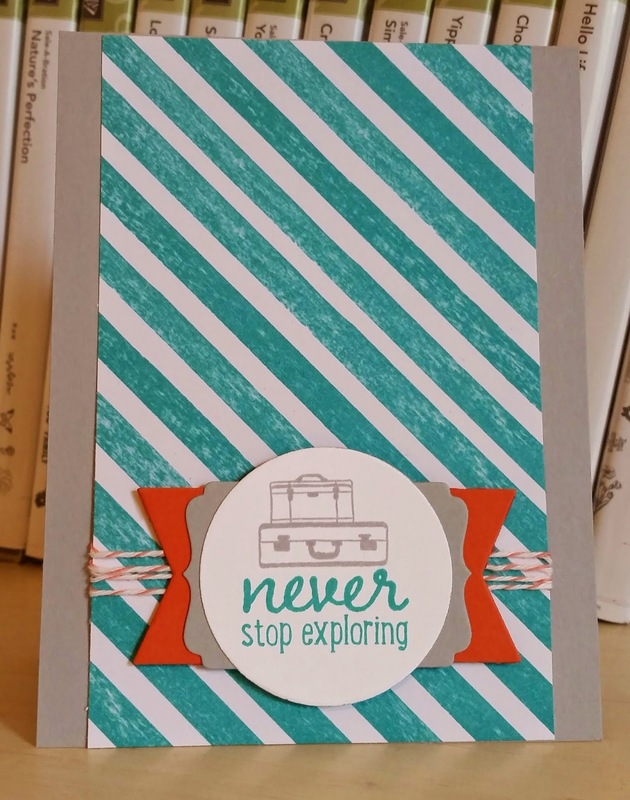 I stamped a piece of Whisper White with the Gorgeous Grunge set in all three colors. 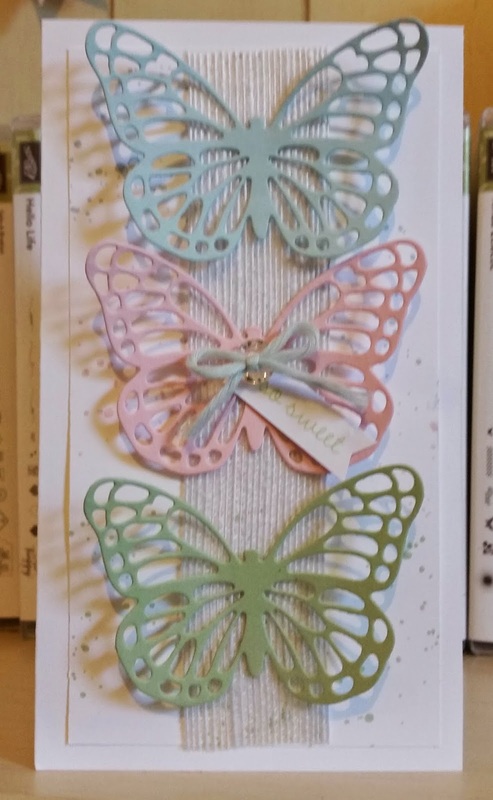 I laid down a strip of the White Jute ribbon and then placed my butterfly dies on top. I added to the center butterfly a small vintage faceted button topped with Soft Sky twine. 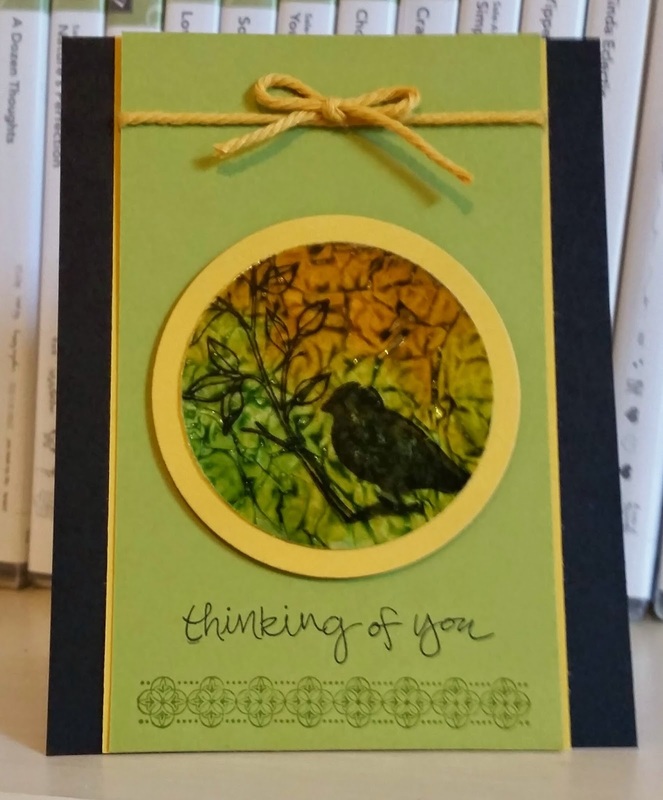 Added a tag that says so sweet in Pistachio Pudding from the So You stamp set. 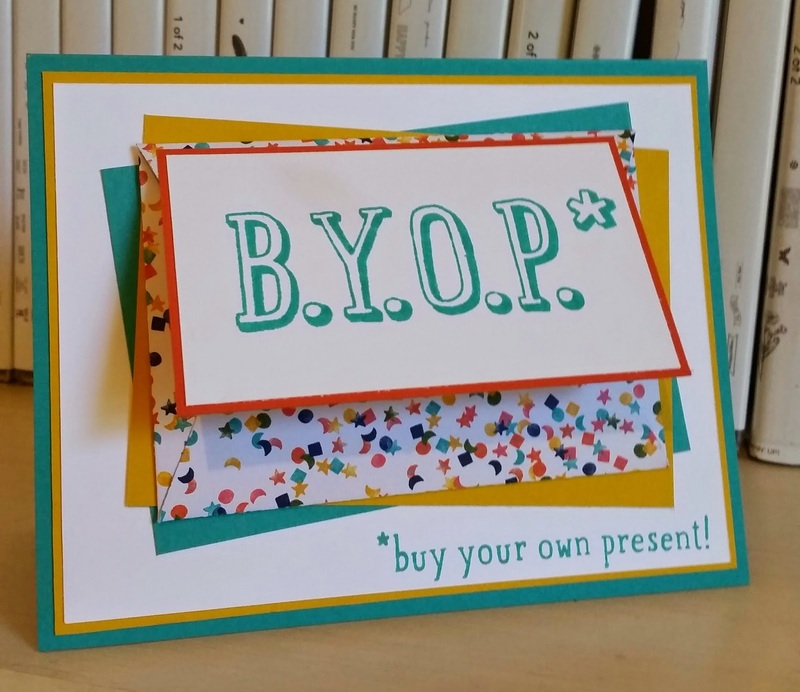 The size of the finished card is 7" x 4". I have been looking for an excuse to do another color other than green for the tree in Sheltering Tree! I have loved seeing pinks and blues (pinks remind me of cherry blossoms!). This tree has So Saffron and Crisp Cantaloupe leaves! I will send this out to my mom this week....she will enjoy some spring colors! 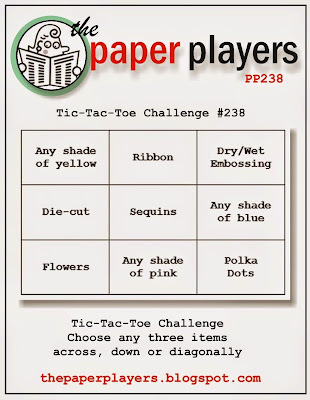 Play along over at thepaperplayers.blogspot.com and thanks for stopping by! 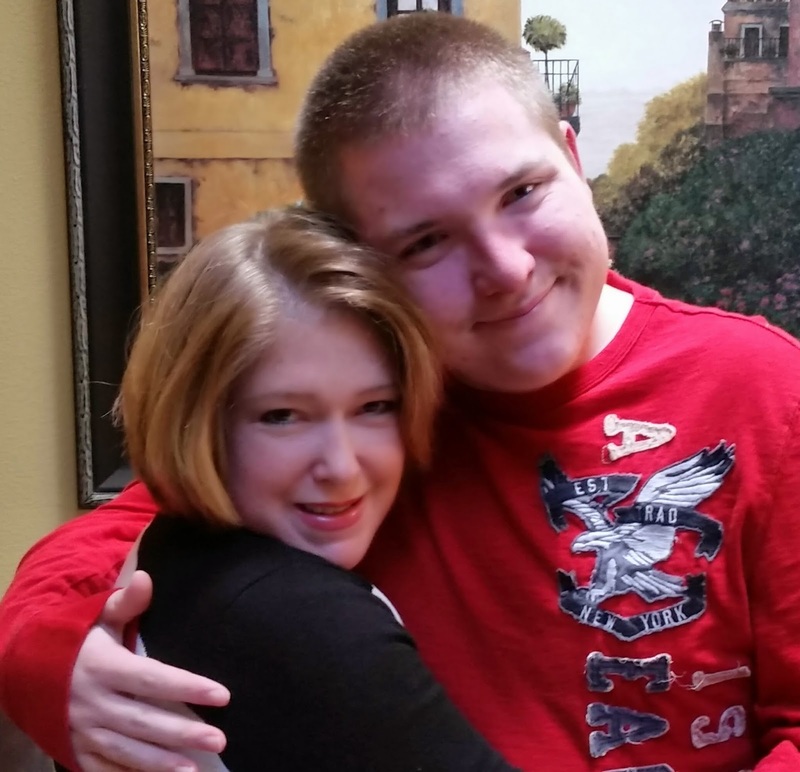 Happy 17th Birthday to my son, Cole! Here is his card today! I hope you have a special day and thanks for stopping by! 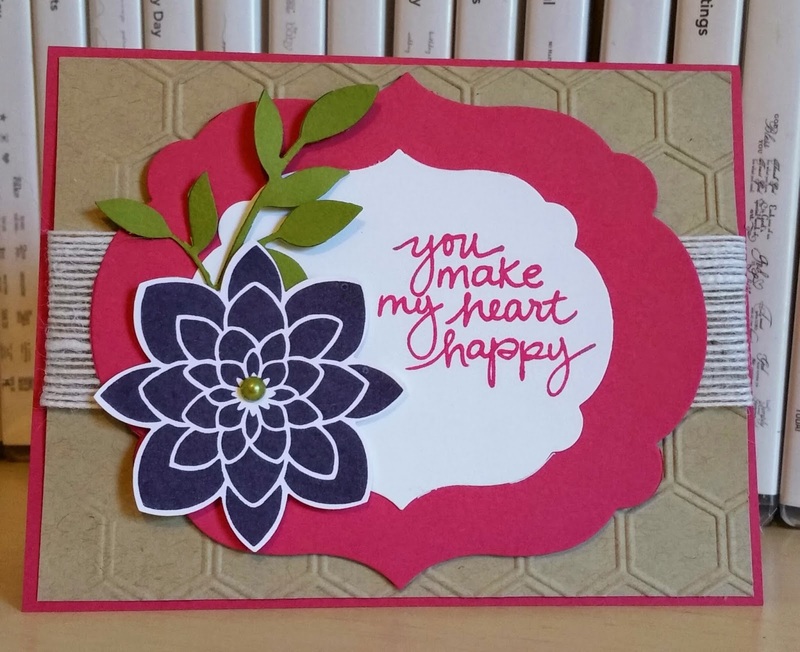 Playing around with the Crazy About You and Petal Potpourri sets and Hello You thinlits dies. 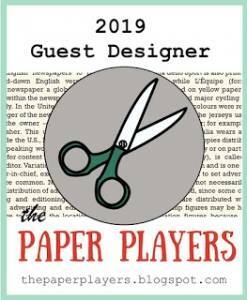 I had this card stock cut from February's class and decided to change it up. I hope you have an amazing Monday! Thanks for stopping by! Happy Sunday! Just a quick card to show today. 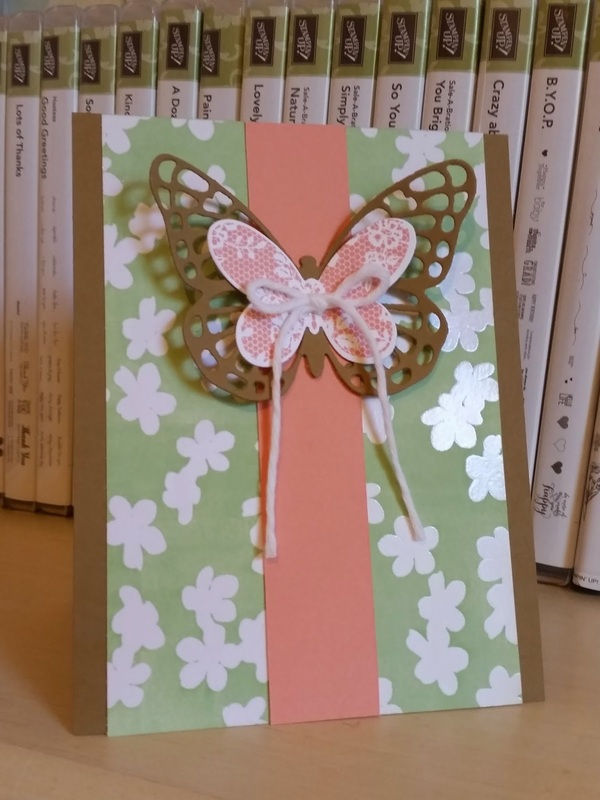 I still had two of the Blushing Bride butterflies cut from January and wanted to use up. Just matched up with Blackberry Bliss, Whisper White and a little Sahara Sand for a fast card. 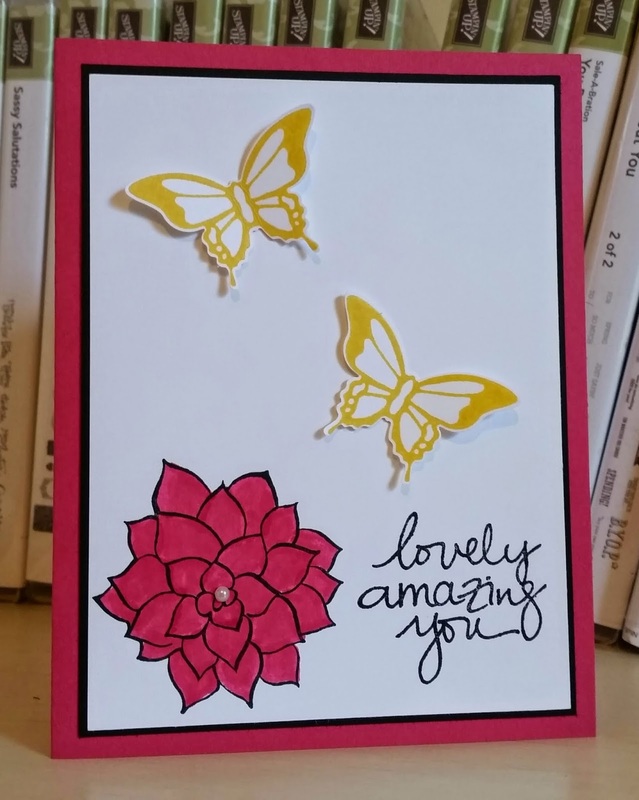 I had the pieces cut from a card class last month but decided to do something else with them and the Lovely Amazing You set was lying there waiting! I hope you have a lovely day! Thanks for stopping by! 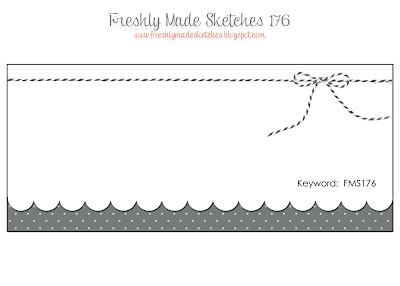 Nice sketch challenge from Cindy Hall over at Freshlymadesketches.blogspot.com. She did a 4" x 9 1/4' card but said we could do a different dimensional card so I went with a 3" x 6" card to keep the lengthy look! 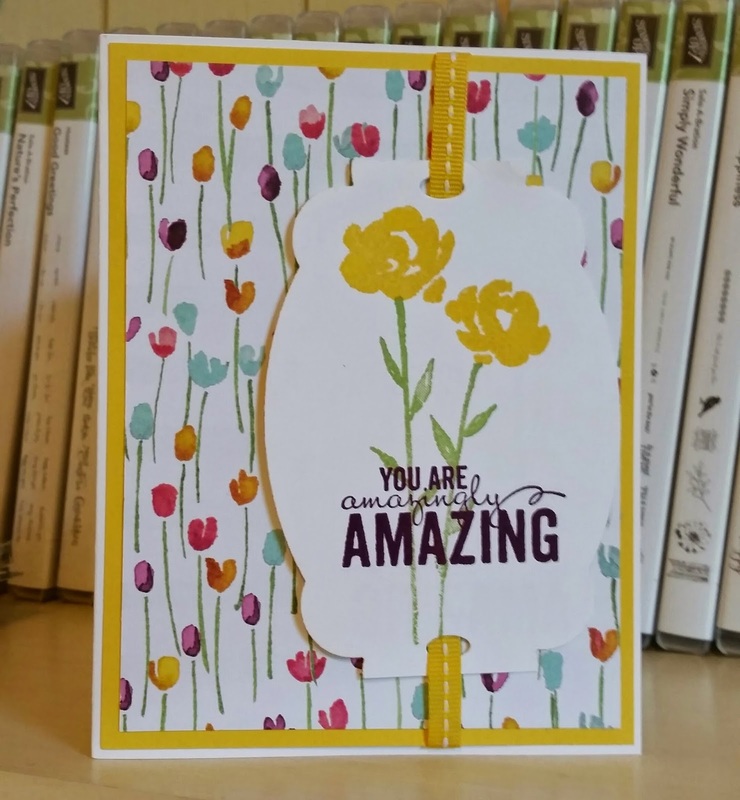 I started with the Petal Potpourri set and stamped a flower in Memento Tuxedo Black and colored with my Daffodil Delight and Calypso Coral blendie markers. I punch it pout with the flower medallion punch but did not like all the white around so cut it off. That gave me my colors combo! 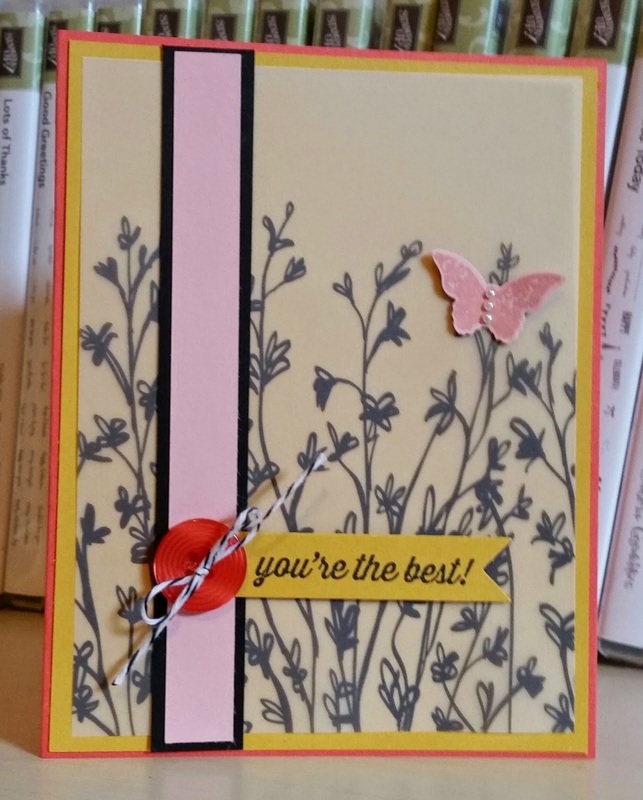 Fun card for my Mom! Thanks for stopping by! Have a blessed Friday! Yes, those colors were screaming St. Patrick's Day! But I thought I would make a goodie box instead of a card! I saw the clover idea with the bird builder punch (using the stem and 6 wings). Mine is not so lucky since I chose with the space to do a 3 leaf clover and not a 4 leaf. I hope you have a wonderful lucky Thursday and thanks for stopping by! 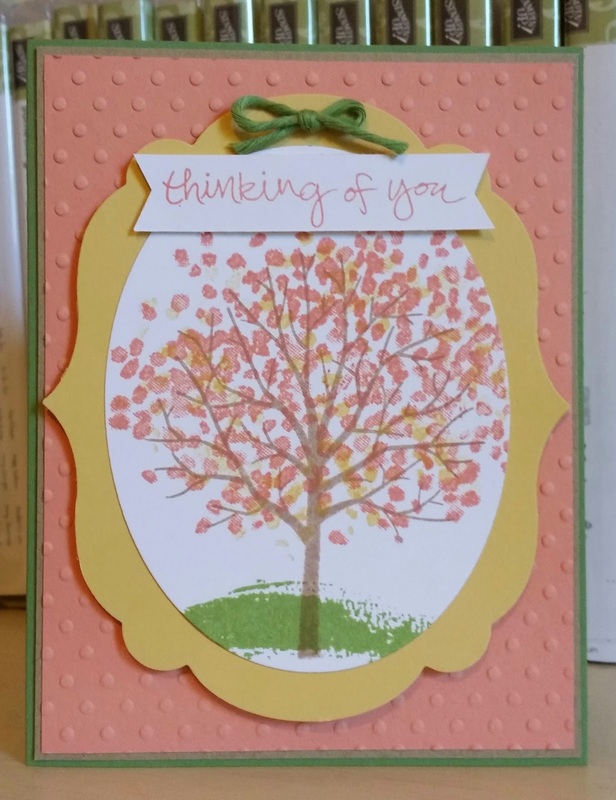 Just need some spring colors and a great spring set and you will have an awesome spring card! I started with Wisteria Wonder (purple..my fav color) and added Pear Pizzazz then a little Daffodil Delight. Still love the Irresistibly Yours DSP you can color any color you want!